BAMBAN – The Municipality of Bamban through the leadership of its Local Chief Executive, Mayor Jose Antonio T. Feliciano intensifies its advocacy on voluntary blood donation to provide and allocate safe blood supply, sustaining its adequacy and ensuring accessibility. For this quarter of 2018, Bloodletting activity dubbed as “Be a Hero on your own, donate BLOOD to save a Life” took place last November 26, 2018 from 8:00 am to 12:00 noon at the back of the Municipal Building. 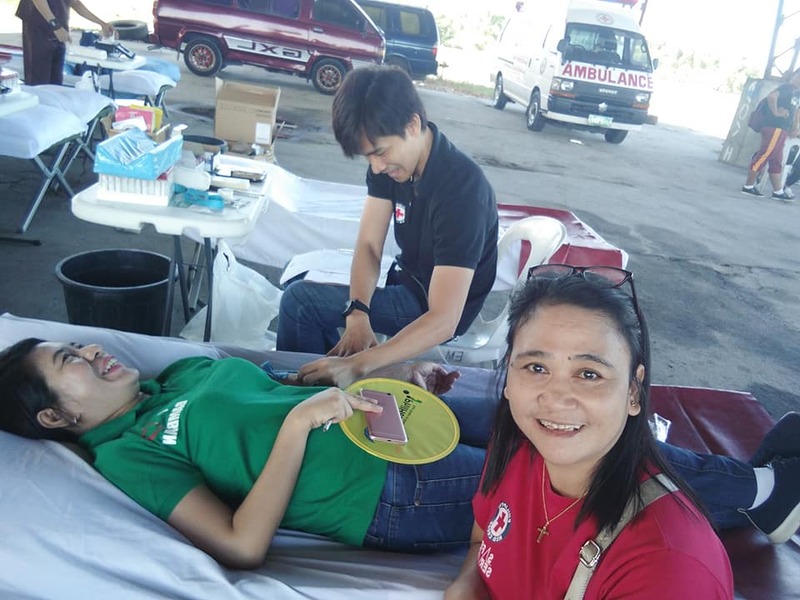 Every April and November, the Municipality of Bamban sponsors bloodletting activities in order to promote its importance and for awareness purposes. Mayor Feliciano believes that through such activity we have given the opportunity to give the gift of life for patients suffering sickness. The activity is in coordination with the Philippine Red Cross-Tarlac chapter headed by Mr. Luciano Paras. This activity is just one of the Social Services that Mayor Feliciano is advocating. Currently different social services programs were being served and enjoyed by Bambanense, specially Health Services. There were 68 Dialysis Patient who enjoyed the assistance of a guarantee letter through the effort of Mayor Feliciano. 1,200 families more or less were assisted by the Medical Assistance Team (MAT) with regards to their hospitalization. The Medical Assistance Team is a group of personnel who were organized into team and extend assistance to all Bambanense who needed assistance. 782 were under the Philhealth Sponsored Program of Mayor Feliciano. With meagre budget, the administration was able to maximize the use of its fund not just for infrastructure but for social services program extended and enjoyed by Bamban’s constituents.